Turnbull is sounding less like a leader and more like Tony Abbott’s ventriloquist doll. 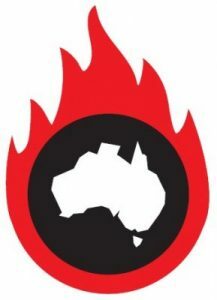 The Paris Agreement to which Australia is a signatory is based on the idea of a carbon budget, the maximum amount of carbon the world can burn before 2050 if it is to avoid climate chaos. By 2011 the world had already consumed a third of that budget and emissions have continued to rise. Australia’s target of a 26-28% reduction in emissions by 2030, which has been described as a “three inch putt”, is part of that agreement but the trajectory we are now on suggests we will fail even that weak target, as emissions continue to rise. It is no small thing to break an international agreement. Certainly power prices are hurting consumers everywhere. Ten years of political bickering and point scoring have left a policy vacuum. Scrapping the carbon price which added relatively little to energy bills has done nothing to prevent soaring energy prices while emissions have climbed at a worse trajectory. Turnbull is now using energy prices, a sensitive consumer issue, as a cynical political weapon and beating up on AGL’s Andy Vesey for making a commercial decision to retire Liddell, an end of life clunker of a coal fired generator. How extraordinary for a supposed champion of free markets to interfere so heavily in the market. His misrepresentation of the latest AEMO report where he equated “baseload” (an old technology thermal generation term) with “dispatchability” (new technology term) was deliberate and disingenuous, but designed to appease his science denying colleagues and please the coal lobby. Is it possible to decouple prosperity from fossil fuels? Firstly, California, Massachusetts, and other US states have ambitious plans to do so. California will cut its emissions by 40% below 1990 levels by 2030, and generate 50% of its electricity by renewable energy by 2030 and 100% by 2045. China hit peak coal consumption in 2014 and has cancelled 100 of the coal fired power plants out of the several hundred it had planned. It is closing old coal fired power plants and also has plans to ban the internal combustion engine for cars. Secondly, such a decoupling will be essential if the world is to avoid more than 2 degrees Celsius of global warming with the climate, human, and health chaos which follows. 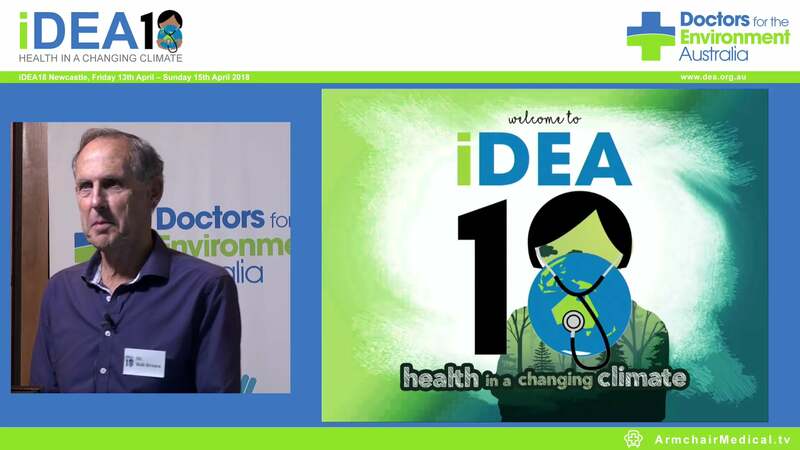 For Doctors for the Environment Australia and global bodies such as the World Health Organization this is a health issue: the destruction of the biosphere which sustains us (think agriculture and fisheries), the droughts and floods which impact so many, the changing patterns of diseases, the sea level rise which is already impacting coastal communities and the bushfires. Is it “alarmist” to say that bushfires in NSW in mid-September are concerning? It is good to see Tony Abbott out with the CFS fighting this week’s fire, but is he even remotely aware of root causes? Higher temperatures and drying trends not only extend the bushfire season but make such fires more likely to start. We don’t need an army of actuaries telling us that the catastrophic impacts of climate change will be felt far beyond the traditional horizons of most actors- imposing a cost on future generations that the current generation has no incentive to fix. In other words, once climate change becomes a defining issue for financial stability it may already be too late. Geoff Summerhayes, a board member of the Australian Prudential Regulation Authority has echoed those risks and described their implications for Australia. And yet we know that addressing the issue of climate change has enormous co-benefits in clean air and water. Can Australia claim to be a global player while at the same time take a course which goes completely against the spirit and the substance of the Paris Agreement? To continue to invest in fossil fuels and delay investment in a new clean economy is to send the bill to our children and grandchildren. Dumping the CET or neutering it sends a two- finger salute to the rest of the world and to future generations. Turnbull needs to think more about the legacy he is leaving his grandchildren.